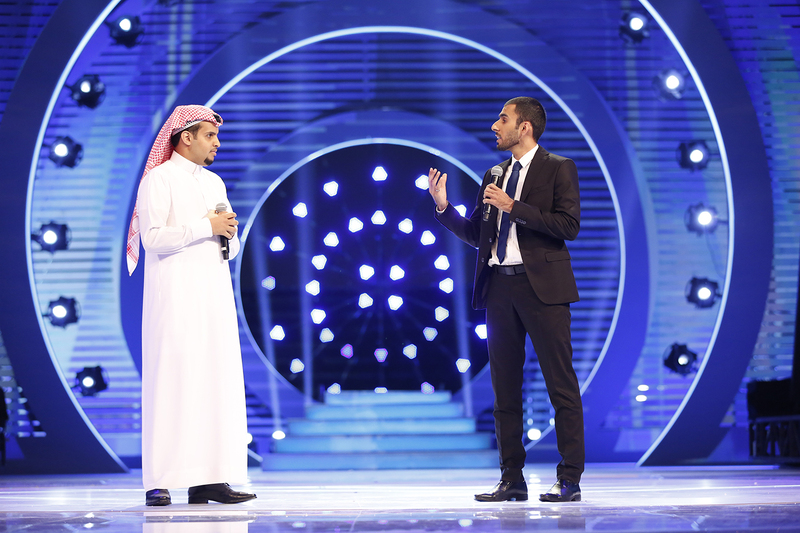 Doha, 20 November 2015: Yaman Abou Jieb, the young innovator from Syria, emerged victorious in the breathtaking live finale of Stars of Science in Doha, Qatar, concluding the seventh season of Qatar Foundation for Education, Science and Community Development’s (QF) “edutainment reality” TV program on MBC4. 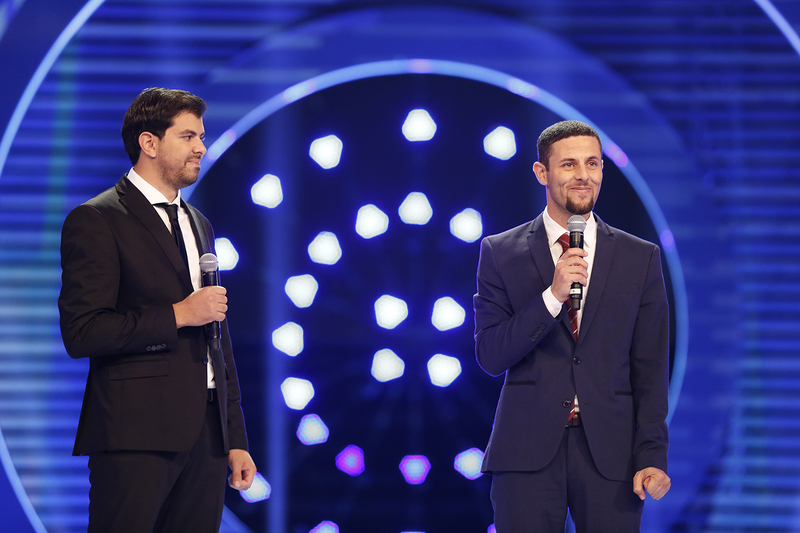 Voting from viewers around the Arab world combined with a jury deliberation garnered Yaman Abou Jieb a score of 37.2%, enough to win the first prize of $300,000 USD for his Solar Washing Machine, Glean. 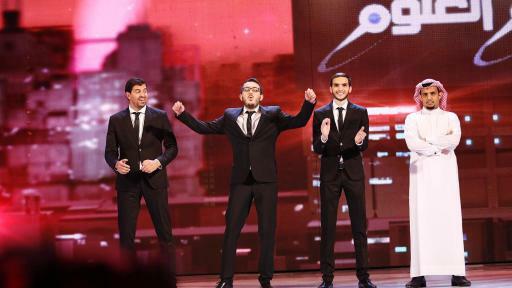 Yaman thrived on Stars of Science Season 7 due to his trademark resilience and determination. Launched in 2009, Stars of Science is dedicated to scientific innovation, and aims to shine a spotlight on the next generation of young Arab innovators. The initiative brings to fruition QF’s overarching vision of unlocking human potential by creating an environment that facilitates learning and knowledge acquisition. 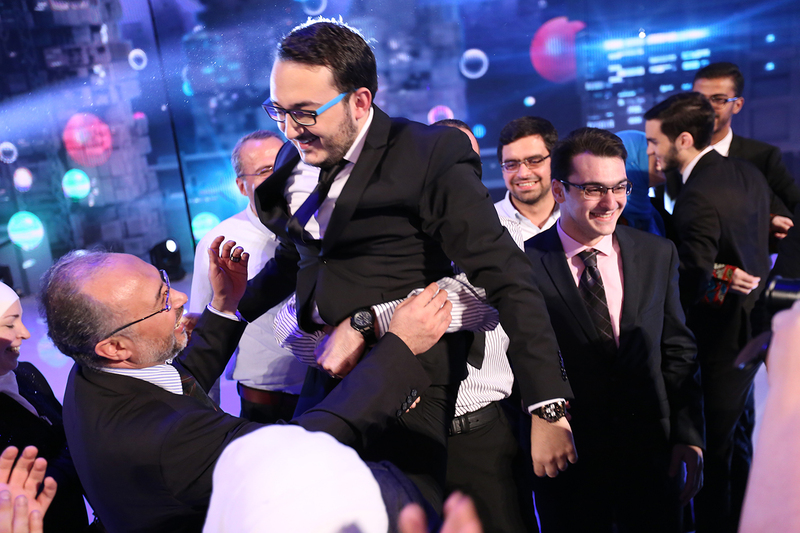 Omar Hamid, inventor of the Prayer Chair, Sanda, came in second place with a combined score of 23.1%, earning $150,000. Omar charmed audiences this year with his creativity and passion for social impact. The tenacious, problem-solving innovator from the Kingdom of Saudi Arabia, Hassan Albalawi, came in third with a score of 20.4% with his EEG Cap Analyzer, Wakecap. With his ECG Stress Analyzer, Digiheart, Mohamed Mourad Benosman, a strong-willed thinker from Algeria, came in fourth place with a score of 19.3%. 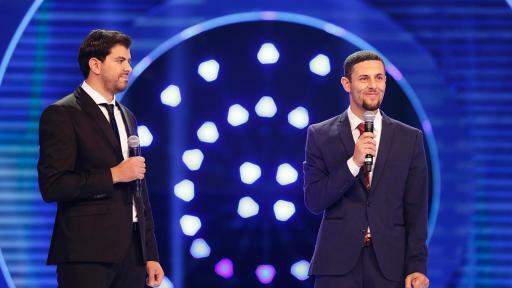 Hassan won $100,000 USD, while Mohamed was awarded $50,000 USD. 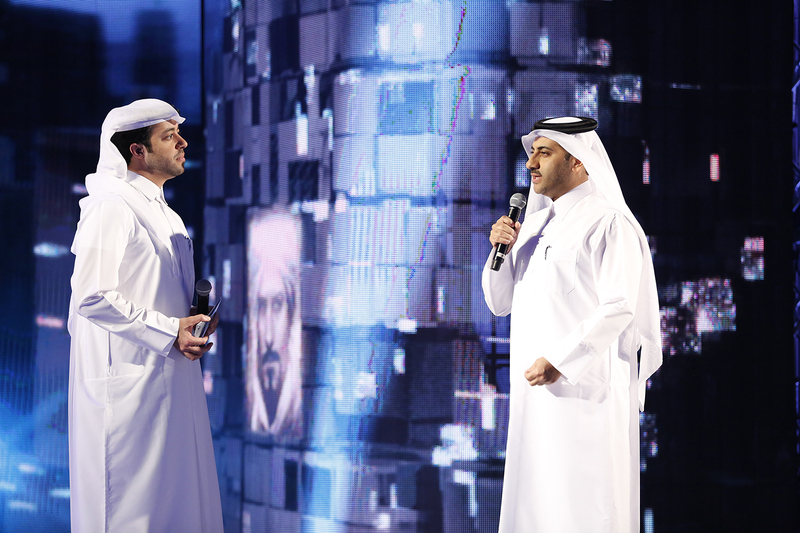 Mr. Youssif Saleh, on stage with Host Khalid Al-Jumaily. 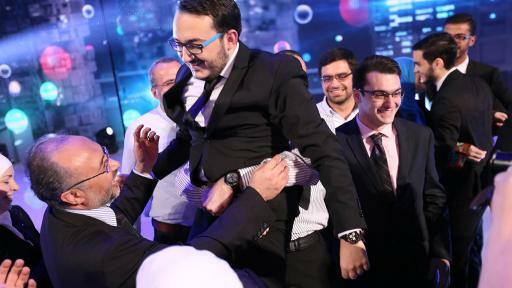 Yaman Abou Jieb from Syria celebrates winning Stars of Science season 7 with his innovation Glean. Stars of Science will return in 2016 with Season 8. 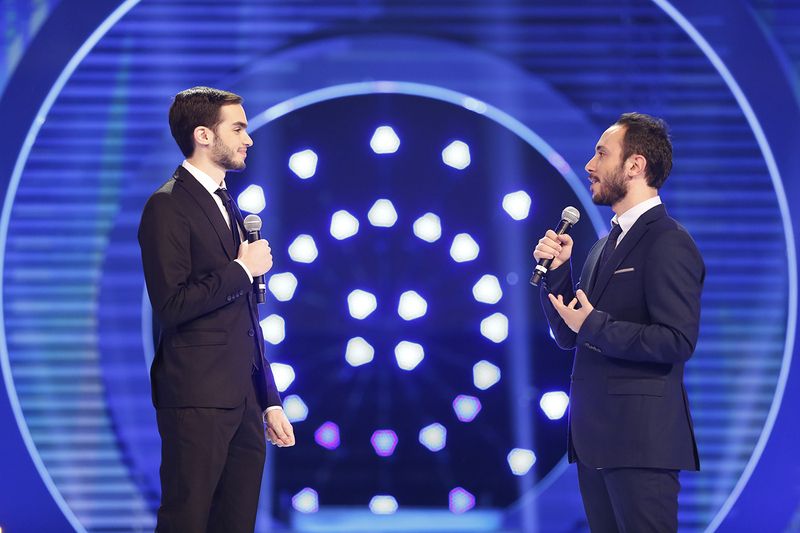 In the new season, Stars of Science will accept applicants between the ages of 18-35. Special emphasis will be placed on finding promising project ideas that contribute to resolving the sustainable development challenges in the Arab countries and ensuring that their inventions are beneficial to their communities and have an impact regionally and globally. Enabling projects in diverse areas from Computing and Information Technology, Energy, Environment, to Health and Biomedical sciences. The program will also diversify the prizes for the finalists to include both cash and grants for product development, such as incubation. 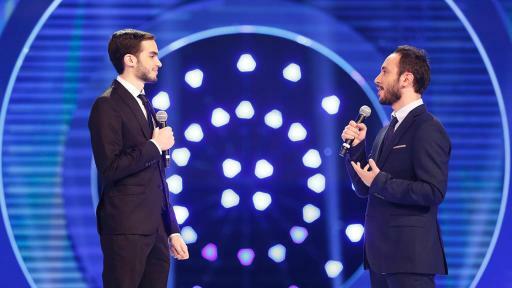 The total value of the prizes for finalists will increase to $1,000,000 USD. Innovators interested in entering Stars of Science Season 8 still have time, with online applications closing on January 30th, 2016. Aspiring candidates from around the region are encouraged to apply via the official Stars of Science website: www.starsofscience.com. 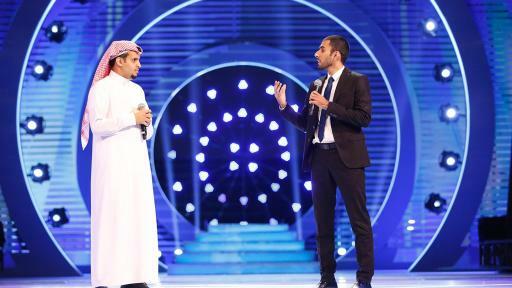 Entering its eighth season, the Arab world’s leading scientific “edutainment reality” TV program Stars of Science, an initiative of Qatar Foundation for Education, Science and Community Development (QF), will be back on MBC4 in 2016 with an exciting new format. Competitively selected from across the Arab world, nine candidates between the ages of 18-35 will enter the competition with promising project ideas that contribute to resolving the sustainable development challenges in the Arab countries and ensuring that their inventions are beneficial to their communities and have an impact regionally and globally. Enabling projects in diverse areas from Computing and Information Technology, Energy, Environment, to Health and Biomedical sciences. The brightest minds of the region will fiercely compete against each other with their innovative ideas entering a Prototyping & Customer Validation elimination round for a chance to win a share of up to $1,000,000 USD worth of seed funding and in-kind support. During the grueling 10 week process, the candidates demonstrate the validity of their solutions with the support of a team of experienced engineers, designers and business leaders alongside Stars of Science alumni as they compete against the clock in a custom built lab where it will take perseverance and resourcefulness to succeed. QF’s work encompasses education, research and community development. World-class universities are brought to Qatar to help create an education sector in which young people can develop the attitudes and skills required for a knowledge economy. At the same time, QF builds Qatar's innovation and technology capacity by developing and commercializing solutions through key sciences. The Foundation also works to foster a progressive society while enhancing cultural life, protecting Qatar’s heritage and addressing immediate social needs in the community.